This Born Duranta combines the ballet flat and the sneaker into one with its suede upper, detail stitching, and white outsole. 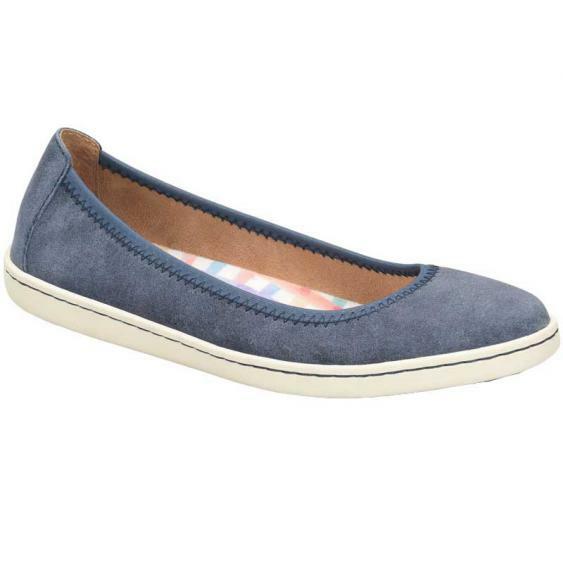 This comfortable classic has a leather lining that allows for breathability and a generously cushioned footbed. Born’s Opanka construction makes the Duranta lightweight while a textured rubber outsole provides traction. Slip into two of your favorite looks at once with Born’s combination of a flat and a sneaker; the Duranta.